Clare County Fire and Rescue Service is asking landowners and the general public to refrain from any outdoor burning during the ongoing spell of warm weather. The Department of Agriculture today (Thursday) issued a Condition Orange – High Fire Risk for Forest Fires from 22–30 May. The Fire Service has warned that any outside burning can spread to private and State-owned forestry plantations and jeopardise the safety of dwellings and families living in rural areas.Landowners are being reminded that Section 40 of the Wildlife Acts 1976 to 2012 prohibits the cutting, grubbing, burning or destruction of vegetation, with certain strict exemptions, from March 1 to August 31 during the nesting and breeding season for birds and wildlife. 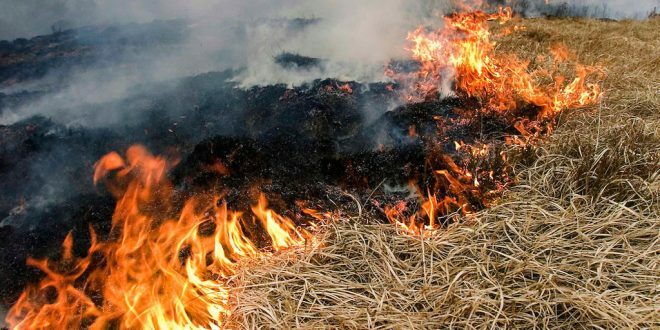 Clare County Fire and Rescue Service is asking landowners and the general public to refrain from any outdoor burning during the ongoing spell of warm weather.